Embit is proud to announce EMB-LR1276S, the new sub-1GHz Embit’s wireless module that supports the LoRaWAN long range protocol. 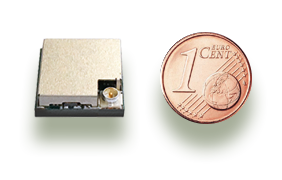 It comes in a very small form factor (11.5 x 11.5 mm) providing a simple and easy way to add LoRa / LoRaWAN long range connectivity into existing products. It is based on the new Microchip SAMR34 SiP, an ultra low power microcontroller combined with a UHF transceiver communication interface. EMB-LR1276S can communicate with other devices through a wide range of serial interfaces: UART, I2C and SPI ports, several digital and analog I/O ports useful for the management of external devices and interfaces. EMB-LR1276 firmware can be easily developed thanks to the Embit SDK, which include the LoRa / LoRaWAN stack develoed by Microchip. Please contact our sales representative for more information or visit the EMB-LR1276S web page.